Fellow Hen&ink Literary mate and young adult novelist Hannah Goodman (bio below) tagged me for a writer’s blog tour that asks writers four questions about the writing process. I’ll blab about what I’ve been doing for the past two years and then tap two talented colleagues who’ll carry the blog forward: Cyndi Briggs and Tori McCagg. Don’t forget to read below to learn about my three talented colleagues. In 2012, I found boxes of old German letters and documents that survived Hurricane Katrina. 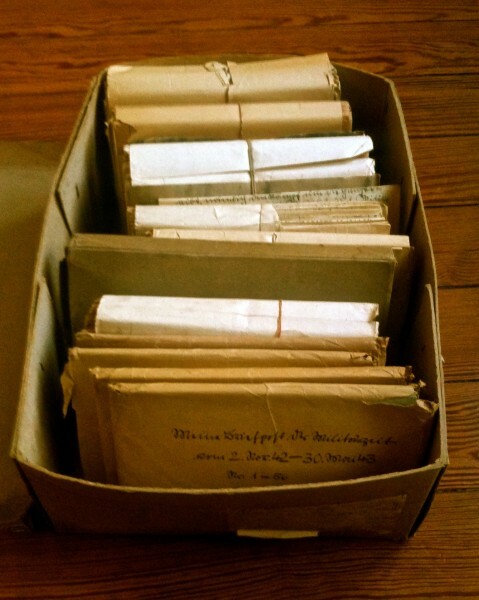 Digging through them, I discovered correspondence from my husband’s uncle Reiner who disappeared on the Russian Front of World War Two. My in-laws never talked about Reiner, but I always wondered what happened to him. He came from a German family that cherished music and art, and hated Hitler. 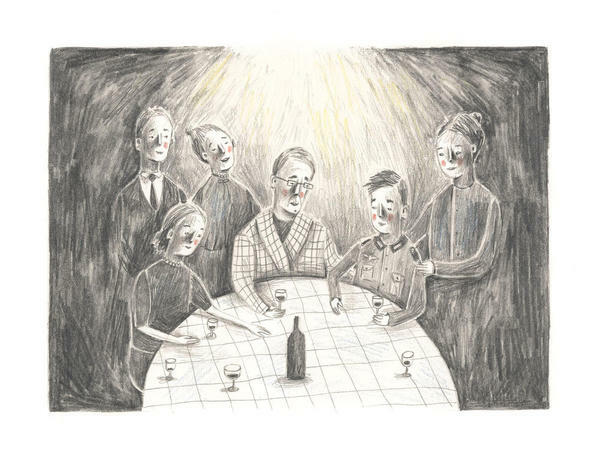 These letters tell a powerful story of a young man whose vibrant life was cut short by war. I write in many different genres——nonfiction and fiction, picture books to adult. I retell folktales (see my new picture book A Catfish Tale: A Bayou Retelling of the Fisherman and His Wife) and invent my own. My current young adult project about Reiner is not the usual World War Two story about heroism. It offers a view of “the enemy” who didn’t want to fight but found no other option. 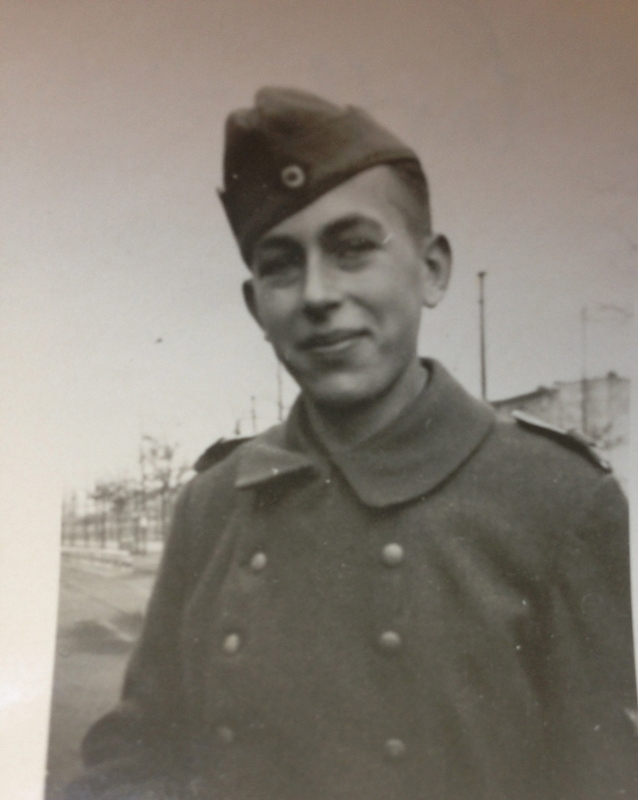 Reiner tells his own story through words he wrote from front-line trenches in Russia and Poland. I don’t know any other young adult book about a German soldier that is told at the time of the battles. I often find story fragments or small facts that scream out, “Find out more!” Then the fun starts. I love research mysteries, especially when they take me across the globe. I’ve just returned home from my third “Finding Reiner” trip to Germany and rural Poland. I came back with unanswered questions, so before long, I’ll probably pack again. But for now, I’m happy to sleep in my own bed and to use the language that I know best. I’m not a fast writer, but I always meet my deadlines, even if that means writing when I’d rather read or sleep. I don’t fret about clumsy first drafts because I love the revision process, and I work best with an editor I trust. I’m open to making changes and rethinking my vision. I never count the number of drafts I write. Who cares? Writing must be molded. —–And now, read about my colleagues. Hannah R. Goodman is a YA author represented by Erzsi Deàk of Hen&ink Literary Studio. In 2011, Publisher’s Weekly interviewed Hannah for her ground breaking literary enterprise, Sucker Literary, which features undiscovered and new YA authors. Volume III was recently published in April of 2014 to high praise among book bloggers. Her story, “A Different Kind of Cute” was touted as “irreverent.” And a reviewer from Literoses continued with, “This story sparkles. This story will pack a punch in a part of your heart you didn’t even know existed.” Hannah has published young adult short stories in an anthology entitled Bound Is The Bewitching Lilith and in the journal Balancing The Tides. She also has written columns for The Jewish Voice & Herald. Her YA novel, My Sister’s Wedding, won the 2004 Writer’s Digest Self Published Book Awards, Children’s Book Division. Hannah is a member of SCBWI and ARIA as well as a graduate of Pine Manor College’s Solstice Program in Creative Writing where she earned an MFA in Writing For Young People. She is a writing coach and tutor to students of all ages and resides in Bristol, RI with her husband, two daughters, and two cats. Learn more about Sucker Literary and follow Hannah on Twitter, Goodreads, Amazon, Tumblr, and follow Sucker Literary news on Facebook and Twitter. And now I tap writers Cyndi Briggs, who is on her own WWII research adventure, and Tory McCagg whose new novel, Bittersweet Manor, penetrates beneath the scabs of human emotion. Cyndi Briggs has masters and doctoral degrees in counseling. In addition to her day job as a faculty member in a graduate program for counselors, she spends her time learning as much as possible about the world around her. Currently, Cyndi is engaged in an oral history project collecting the stories of World War 2 veterans. This project bloomed from her curiosity about her own grandfather’s experiences in the 3rd Armored Division during the War. This fall, her research will take her to Europe where she’ll follow her grandfather’s route through France, Belgium, Germany, and Switzerland. Bittersweet Manor, was published in May 2014. She is currently working on a non-fiction book, Darwin’s View: One Breath After Midnight and a novel with the working title Mother Daze. She is an accomplished flutist and divides her time between Rhode Island and New Hampshire where she and her husband live off-grid with their two cats and seven chickens.